Mister Rogers arrives showing feelings of frustration and sits at the bench without changing into his sweater. He explains that he received a parking ticket on a recent trip downtown. With only a dollar bill in his pocket, he went inside a drug store for change to pay the parking meter. While he was inside, the meter maid wrote him a parking ticket. Clearly upset, Mister Rogers sings What Do You Do With the Mad That You Feel. At the Neighborhood court house, Mister Rogers is greeted by the clerk who explains the traffic court procedures. Inside the court room, Mister Rogers waits his turn as others plead their cases to the judge. In some cases the judge is understanding and does not issue fines, while in other cases he feels that a penalty is in order. 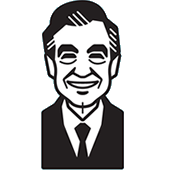 When Mister Rogers explains his story, the judge does not fine him but suggests that Mister Rogers remember change the next time he will be parking downtown. Returning to the house, Mister Rogers talks about how reminders from others can sometimes seem petty, but directions are usually given out of love. In the Neighborhood of Make-Believe, King Friday has been promoting an educational television program and expects Prince Tuesday to know how to count. Queen Sara tries to explain that Prince Tuesday is still young and needs to learn other things first but the King stands by his expectations. He feels that this program is precisely what everyone in the Neighborhood needs. Meanwhile, X the Owl and Henrietta Pusscat have made signs that read "LET US LEARN FROM ONE ANOTHER" to protest King Friday's lofty expectations. Everyone gathers at the Museum-Go-Round where they begin their protest march to the castle. Lady Elaine speaks on behalf of all in the Neighborhood explaining that they have individual interests and responsibilities. No one wants to constatnly watch the King's educational program. Lady Elaine and Dr. Bill state that "[It may be good] for some of us some of the time, but not for all of us all the time." King Friday understands the concerns of his Neighbors and declares that they may "see [the program] when [they] want to see it, when [they] feel that [they] need to see it." A celebration begins and King Friday plays It's Such a Good Feeling on his bass violin while everyone sings. Back at the house, Mister Rogers talks about the importance of expressing your feelings when things are important. He concludes by singing The Truth Will Make Me Free. 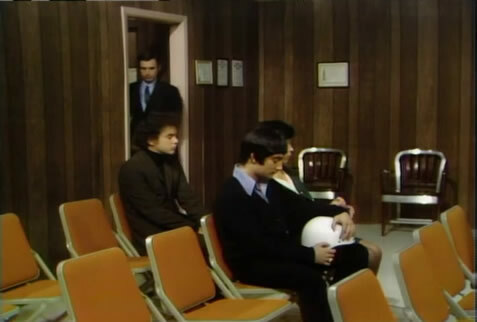 Entering the court room, Mister Rogers passes by occasional Neighborhood guest Andrew Wyeth who is seated in the back row. Mr. Wyeth is wearing the same clothes he wore when he appeared in Episode 1217. Also appearing in court is Charles Altman -- the voice of Prince Tuesday in the early 1980s. He is called before the judge as Mister Rogers is leaving. As Mister Rogers returns to the house from court, Sometimes People Are Good plays in the background. While he talks about reminders, It's the People You Like the Most plays. When it comes time for Make-Believe, I'm a Man Who Manufactures plays as Mister Rogers sets out the model of Corney's factory. Traffic Court: Will Varner, Paul Greeno, Kathleen Hurst, Sandra Monroe, Susan Marks, Eugene Whitten Sr.